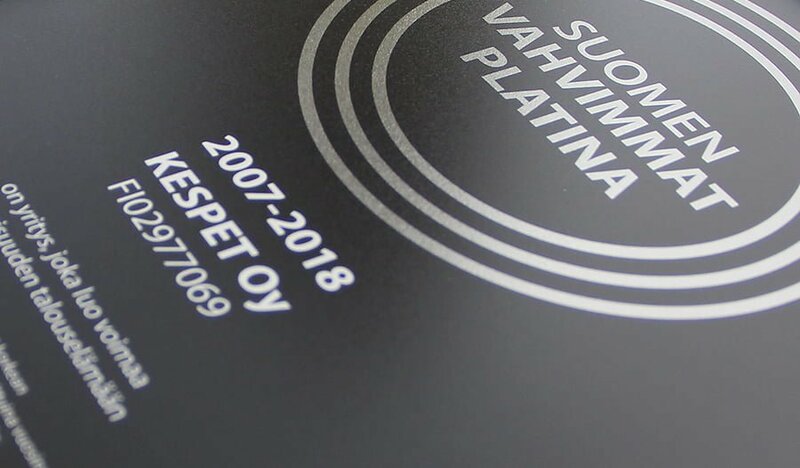 Kespet Oy receives the Suomen Vahvimmat Platinum (“The Strongest Of Finland”) certificate, admitted by Suomen Asiakastieto Oy. The certificate requires for the company to have excellent payment behavior and history, excellent economic ratings and positive background information. Kespet has been qualified for the certificate, on the Platinum level, since 2007.